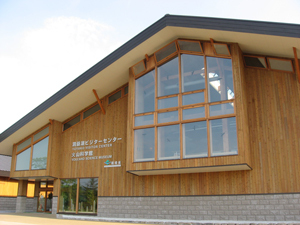 The Shikotsuko Visitor Center provides interesting exhibits explaining the natural environment of Lake Shikotsu. The building is an environmentally-friendly facility constructed of natural materials from the area around Lake Shikotsu. It employs natural energy by means of solar power generation and heat pipes extracting heat from the earth. View the exhibits in the visitor center, and then dive into the natural environment. 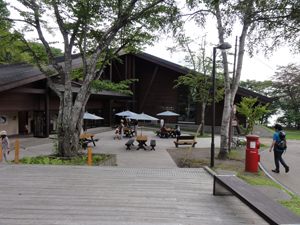 The Shikotsuko Visitor Center and Volcano Science Museum provide the information and exhibits necessary to enjoy the natural environment of the area of Lake Toya (the northernmost ice-free lake in Japan), the continuously active volcano Mt. Usuzan, and surrounding area registered in the Toya Caldera and Usu Volcano Geopark within the Shikotsu-Toya National Park. 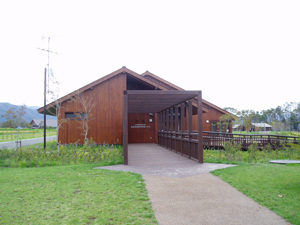 The Toya Takarada Nature Experience House provides information on the natural environment and a wide range of experience programs for visitors to Lake Toya and residents of the area, and assists in understanding the natural environment and the local area through 'environmental learning.